This is 14-hour brisket at one of the best barbecue restaurants. Hoodoo Brown Barbecue, 967 Ethan Allen Hwy, Route 7, Ridgefield, Connecticut. Since the title of best barbecue restaurants is such an individual art, we thought it appropriate to start in an out-of-the-ordinary place serving out-of-the-ordinary food. They call it “outlaw barbecue” because it borrows from so many regional traditions. Try the 14-hour brisket, paired with slaw. Come back later for ribs. The nachos (topped with brisket, of course) get high marks, as well. Open 4 pm-midnight Tuesday-Thursday, 11:30 am-1 am Friday-Saturday, and 11:30-midnight Sundays, but closed Monday. Shiver’s Bar-B-Que, 28001 S. Dixie Hwy, Homestead, Florida. To some folks, “fancy” is anathema when it comes to barbecue. Those would be the ones who vote Shiver’s the best in ‘cue. There is nothing fancy about this Florida favorite, but it is a mouthwatering destination restaurant. Brisket, ribs, and jalapeno grits. What else is there to say? Chow down, wipe your face with the provided paper towels and then belly up to the bar all over again. That’s the way they talk at Shiver’s. Open 11 am-9 pm Sunday-Thursday, and an hour later Friday and Saturday nights. Rib Shack Barbecue, 395 West State Street, Eagle, Idaho. Where can you go to be greeted at the door with a sample of ribs? Nowhere, but here. That’s how the good folks at Rib Shack start your time with them. Some of you may be saying, “Idaho? For barbecue?” Tell you what, try a bite of brisket and any one of the tasty and saucy sides and get back to us. The entrees are accompanied by a loaf of homemade bread, as well. Open 11 am-7-pm Sunday and Thursday, and an hour later Friday and Saturday. Please note, closed Monday-Wednesday. Hank’s Smoked Briskets, 3736 Dr. Martin Luther King Jr. St, Suite A, Indianapolis, Indiana. Ask your friends about the places in which they’ve had good barbecue. Mostly, the same parts of the country come up. Texas, North Carolina, and Kansas City all get a mention. Hoosiers are politely knocking on your window, saying “Don’t forget about Hanks.” Truly, no one who goes to Hanks forgets their time there. Carryout only, this is the perfect place for ribs, pulled pork, or the brisket in the name. Open 11 am-9 pm Tuesday- Saturday and noon-5 pm Sunday, but closed Mondays. Joe’s Kansas City Barbecue, 11723 Roe Ave, Camelot Court Shopping Center, Leawood, Kansas. We don’t do chains in our “best of” articles. After all, a Big Mac in Miami tastes the same as one in Anchorage. For some, that’s the way they want it to be. That’s why we hesitated with Joe’s Kansas City Barbecue. However, the food is so good, we decided to call the three locations…one spread out restaurant. (Hey, our piece, our rules.) The burnt ends get high marks, and the ribs have their followers, as well. However, the sides at Joe’s are as praiseworthy as the main dishes! Open 11 am-9 pm Monday-Thursday and an hour later Friday and Saturday, but closed Sundays. Spring Creek Barbecue, 26 Greenville Rd, Monson, Maine. It is hard to get 95% of the public to agree on anything. That’s what makes Spring Creek one of the best barbecue restaurants even up in cold, snowy, Maine. Ninety-five percent of people surveyed rate Spring Creek very good or excellent, according to Roadtrippers. What do all of these folks like to eat when they’re here? 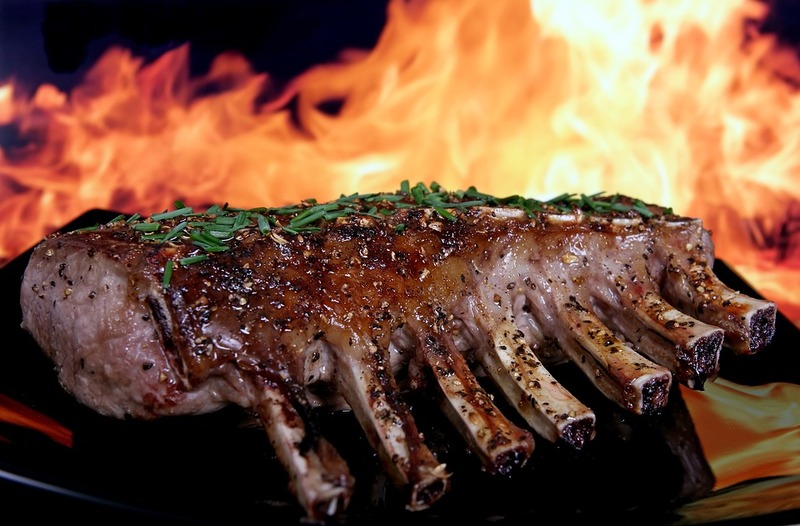 Beef ribs, pork ribs, and prime rib all have their proponents, but everything is tasty and succulent. Open from 9 am Sunday and 10 am Thursday-Saturday until “the food runs out.” Nothing says barbecue like those hours. The Notorious P.I.G., 247 West Front St, Missoula, Montana. “Miles around.” That’s the distance restaurateurs like to say people come for their food. Gildshire can do that one better. We know of a couple who chose to drive for seven hours without food, just to dine at this Missoula standout. What’s good? The food and the service jockey for best in show. Try the signature ribs. You’ll find them juicy and napkins-worthy (one napkin will not do the job.) Luckily, an abundance of paper towels is readily available. Next, work out your inner famished on any of the sides. The beans, in particular, call our name. Missoula is a hidden gem of a college town. The Notorious P.I.G. is a gem of a barbecue joint. Open 11 am-8 pm Tuesday-Saturday, and 11 am-5 pm Sunday. That’s our list. Try any and all of them for a good meal. The best barbecue restaurants call your name just as surely as they call ours. How do we know? Well, you display good taste, even as we speak. Bon appetit. Or should we say, “bone appetite,” because somehow, that sounds more barbecue-y. President Trump at Davos – The Economy and Jobs, Jobs, Jobs!